"We believe this to be the first such effort of this kind nationally and the circumstances we face here clearly call for that," said Rockland County Executive Ed Day at a Tuesday press conference. "Rockland will lead the way in service and safety to the people here." The outbreak started after seven unvaccinated travelers with measles entered the county in early October, Day said. As of Tuesday, there were 153 confirmed cases. Rockland County has been grappling with a measles outbreak in recent months affecting residents in Spring Valley, New Square and Monsey. Officials had previously asked students who are unvaccinated not to attend school. Still, Day said county officials have been met with "pockets of resistance" from people unwilling to comply with health department advice and this played a part in the decision to enact a ban. Anyone found in violation could face six months in jail and/or a $500 fine, Day said. However, he added that the county is not looking to arrest people, but rather a means to grab the public's attention. Measles is a highly contagious disease. Young children, the immunocompromised and non-immune pregnant women are at highest risk for severe complications. Measles is transmitted by airborne particles, droplets and direct contact with the respiratory secretions of an infected person. 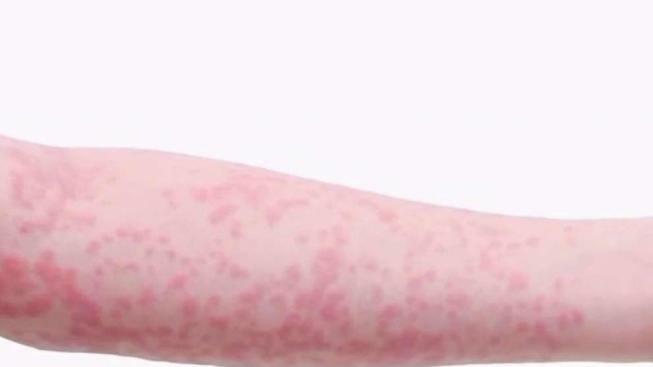 Measles typically presents in adults and children as an acute viral illness characterized by fever and generalized rash. The rash usually starts on the face, proceeds down the body and may include the palms and soles. The rash lasts several days. Infected individuals are contagious from four days before rash onset through the fourth day after the rash appears. Rockland officials encourage everyone to be up-to-date with the MMR vaccine to help protect them in case of any future exposure to measles in Rockland. Rockland health officials have urged those who are ill with a fever, rash, or conjunctivitis (red watery eyes) to stay home, not have visitors and not go out in public. To further prevent the spread of illness, the Rockland Health Department said individuals who have symptoms consistent with measles should contact their health care provider, a local clinic or local emergency department before going in person to prevent exposing the illness to others. The Rockland County Department of Health is coordinating its response with the New York State Department of Health. The Department of Health will also host free MMR vaccination clinics Wednesday from 1 to 3 p.m. One in Pomona and another in Spring Valley.